The case at issue here involves a tort claim. At trial, a jury found in favor of the plaintiffs and awarded a total of $8,250,000 in damages. The final verdict was delivered on April 11, 2018. As the case was originally filed on February 25, 2015, the plaintiffs asked for prejudgment interest to be added for the slightly more than three years that the action was pending. However, the defendants disagreed that they owed interest on the full amount. 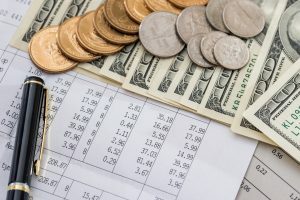 The defendants argued that the amount awarded for future lost earnings ($600,000) and future medical bills and personal care ($5,000,000) should not be subject to prejudgment interest. Both parties agree that the rest of the award, $2,650,000, is subject to the interest. Thus, the case rests on whether or not prejudgment interest should be paid for the future expenses and damages part of the judgment. Defendants argued that in another case the court held that damages for future lost wages were not subject to the interest since in essence the damage had not accrued then. However, the court here distinguished that case – which was an employment discrimination case – from this one, a tort. The court here noted that with tort cases, the plaintiff becomes damages at the time of the accident. Most persuasively, Massachusetts courts have held previously that the total damages in personal injury actions are “unequivocally” eligible for prejudgment interest. Therefore, the court here followed that case law and determined that the whole amount was subject to interest. If you or a loved one has been injured or died due to the negligence of another, you may be able to recover the damages that you are owed. The skilled Massachusetts personal injury attorneys at Neumann Law Group may be able to help you recover what you deserve. Neumann Law Group serves Boston, Canton, Worcester, and other areas in Massachusetts. Schedule your free consultation today by calling (617) 918-7790 or use the contact form on this website.